Kuro Sumi Glow Blue (30ml/1oz ) Kuro Sumi Tattoo Glow Ink is a blacklight sensitive tattoo ink with super flow for easier insertion into the skin. For customers wanting more than a standard tattoo, this provides that extra something special to set their tattoos apart. Kuro Sumi ink is named after the famous ancient Yayoi Kuro..
Kuro Sumi Glow Green 30ml/1oz ..
Kuro Sumi Glow Magenta 30ml/1oz Kuro Sumi Tattoo Glow Ink is a blacklight sensitive tattoo ink with super flow for easier insertion into the skin. For customers wanting more than a standard tattoo, this provides that extra something special to set their tattoos apart. 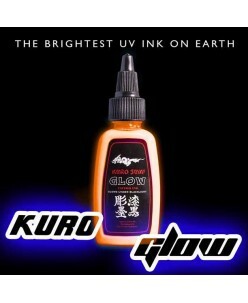 Kuro Sumi ink is named after the famous ancient Yayoi Kuro..
Kuro Sumi Glow Orange 30ml/1oz Kuro Sumi Tattoo Glow Ink is a blacklight sensitive tattoo ink with super flow for easier insertion into the skin. For customers wanting more than a standard tattoo, this provides that extra something special to set their tattoos apart. 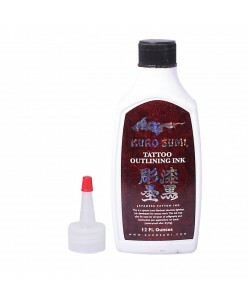 Kuro Sumi ink is named after the famous ancient Yayoi Kuro ..
Kuro Sumi Glow Purple 30ml/1oz Kuro Sumi Tattoo Glow Ink is a blacklight sensitive tattoo ink with super flow for easier insertion into the skin. For customers wanting more than a standard tattoo, this provides that extra something special to set their tattoos apart. Kuro Sumi ink is named after the famous ancient Yayoi Kuro ..
Kuro Sumi Glow Red 30ml/1oz ..
Kuro Sumi Pink 30ml/1oz Kuro Sumi Tattoo Glow Ink is a blacklight sensitive tattoo ink with super flow for easier insertion into the skin. For customers wanting more than a standard tattoo, this provides that extra something special to set their tattoos apart. 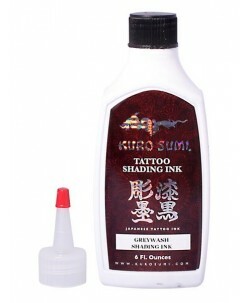 Kuro Sumi ink is named after the famous ancient Yayoi Kuro Sumi Ta..
Kuro Sumi Shading Ink 355ml/12oz ..
Kuro Sumi Glow Clear 30ml/1oz Kuro Sumi Tattoo Glow Ink is a blacklight sensitive tattoo ink with super flow for easier insertion into the skin. For customers wanting more than a standard tattoo, this provides that extra something special to set their tattoos apart. 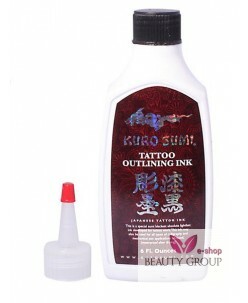 Kuro Sumi ink is named after the famous ancient Yayoi Kuro S..